Dr. Garza was raised in El Paso and attended Eastwood High School. He attended Texas A&M University and received a bachelors degree in Biomedical Science and another in Veterinary Science. He received his DVM in 1982. 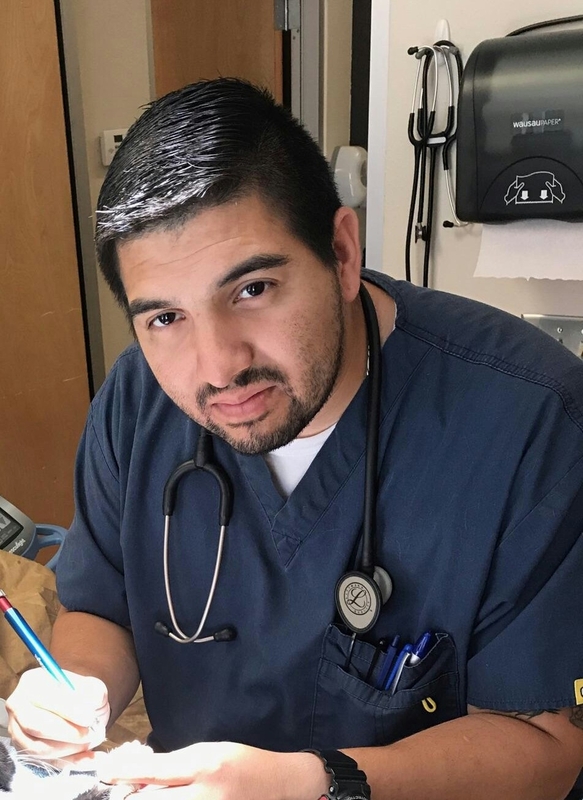 After practicing a year in Hobbs New Mexico, he came back home and worked for three years as an associate veterinarian in a mixed practice here in El Paso. In 1986 he founded East El Paso Animal Hospital, and has been serving the El Paso Community ever since. During his spare time he enjoys working on his fruit trees and fishing. Dr. Kathryn Schoemann decided when she was ten years of age that she would become a veterinarian; her decision never wavered. After graduating from Kansas State University College of Veterinary Medicine in 1990, she moved to Texas to begin her career. In 1996, she moved to El Paso, where she acquired her own practice. She joined Dr. Garza’s team in January of 2014. She is both experienced and proficient in diagnostics, medicine and surgery. Outside of her family (her husband, Willie, and three children: Chris, Leslie and Rosie), she has devoted most of her time, interest and love to the care and healing of animals. However, she enjoys horseback riding, golf and the outdoors in general. 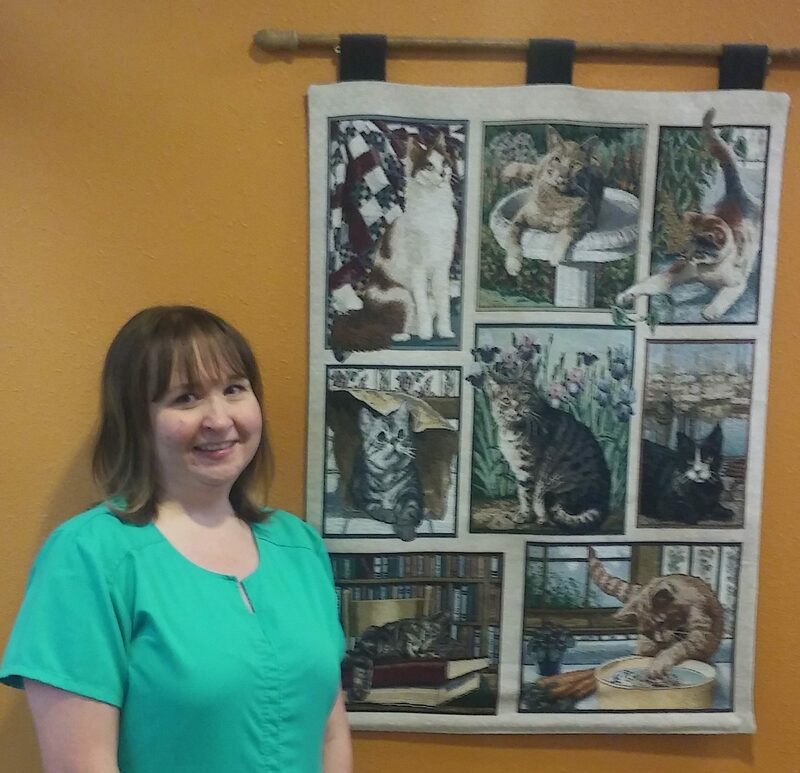 Dr. Lauren Boyer is happy to have returned to East El Paso Animal Hospital where she started out her veterinary career in 2012. She was a graduate of The University of Missouri College of Veterinary Medicine in Columbia, Missouri. Dr. Boyer has two English Springer Spaniels, Mac and Brooke, and a cat named Nermal. She is originally from Spring Grove, Pennsylvania. In her spare time she enjoys hiking, spending time with friends and family, and traveling to new places. One of the aspects she enjoys most about veterinary medicine is internal medicine cases and ultrasonography. Dr. Teri Wolf graduated from Mississippi State University in 2008. She also spent 3 years in the Army. Her professional interests include private practice including small animal, large animal, and exotics. Dr. Daniel J. Marquez is an El Paso Native. He earned a Bachelor’s degree in Biomedical Sciences from the University of Texas El Paso. He is a 2016 graduate of Texas A&M College of Veterinary Medicine. Dr. Marquez enjoys cardiology, ultrasound/radiology, and surgery. In his spare time he enjoys drumming, listening to music and watching hockey. 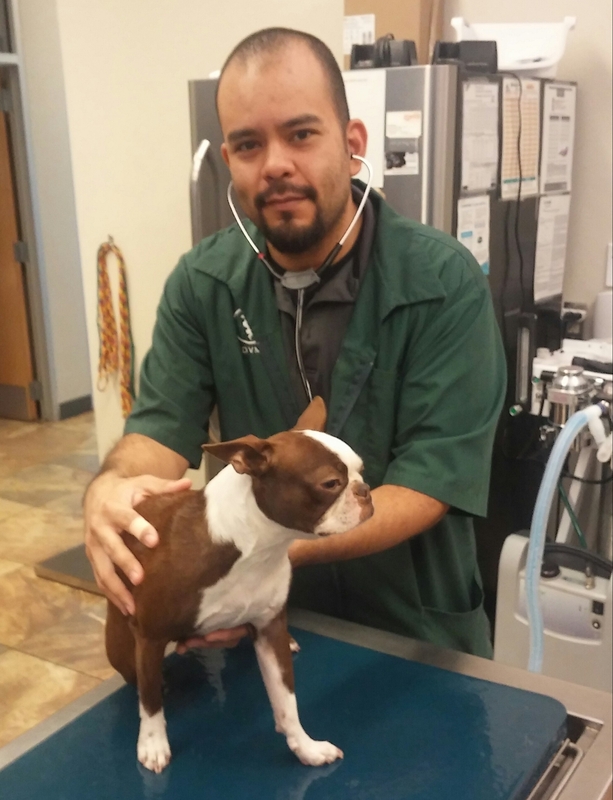 Dr. Carlos Dominguez started at East El Paso Animal Hospital back when he was in High School at the Magnet School for Health Professionals. He worked in our clinic off and on through College and Vet School. We were truly delighted to hear that once graduating from Texas A&M in May of 2017 he would be joining our team. In his off time he enjoys playing Soccer, the guitar and exercising. Dr. Carolina De La Garza was raised in the border town of Reynosa in Northeast Mexico where she would help her Grandfather rescue strays off the streets and nurture them back to health. He instilled in her a sense of compassion and love for animals that ignited her desire to dedicate her life to caring for animals. Dr. De La Garza completed her Bachelor’s degree in Biology at the University of Texas Pan-American. She then completed a Masters in Molecular Biology at Texas A&M Kingsville and recently obtained her Doctorate Degree in Veterinary Medicine at the Texas A&M College of Veterinary Medicine. Her professional intrests include small animal and exotic medicine as well as volunteering abroad with World Vets. In her free time, she enjoys spending time with her family, but especially going on adventures with her amazing twin sister, traveling, hanging out with her rescued fur babies Dudley (dog), Frodo (cat) and Peluso (bunny), playing soccer, spending time outdoors, eating churros and reading. She is happy to be back in a Border Town as it reminds her of home. Kathy came to East El Paso Animal Hospital in July of 2005, with over 35 years of experience in the clerical field and a lifetime of experience caring for and enjoying her own pets. She has always had a love for animals and working at an animal hospital was always an interest of hers. She enjoys seeing and loving on all the fur babies that come into our clinic, including her own three dogs, two of which are three-legged rescues. Dina has been a receptionist at East El Paso for over six years. Originally from California, she has been living in El Paso for more than fifteen years. She is a mother to four children and the owner of five dogs and two cats. She loves reading and collecting mugs and Snoopy memorabilia. Nancy is an LVT (Licensed Veterinary Technician), and the head tech of EEPAH. She graduated with honors from Sul Ross State University in 2003. She previously worked for EEPAH when it was a small 2 exam room practice. During her time away she had 3 beautiful girls, including a set of twins. Ultimately, her love for animals, and the desire to again work at EEPAH brought her back to the clinic. She has 3 fur babies of her own. Happy Pie – a boxer mix, Rexy-a chihuahua, and Mittens – a calico cat. Ray has been a technician here for about a year and a half. He is EMT-certified. Along with being a father to his five-year-old daughter, he is the owner of a papillion and a lab mix. He plans for his next dog to be a husky, which is his favorite energetic breed. Carla has been a technician for 13 years. 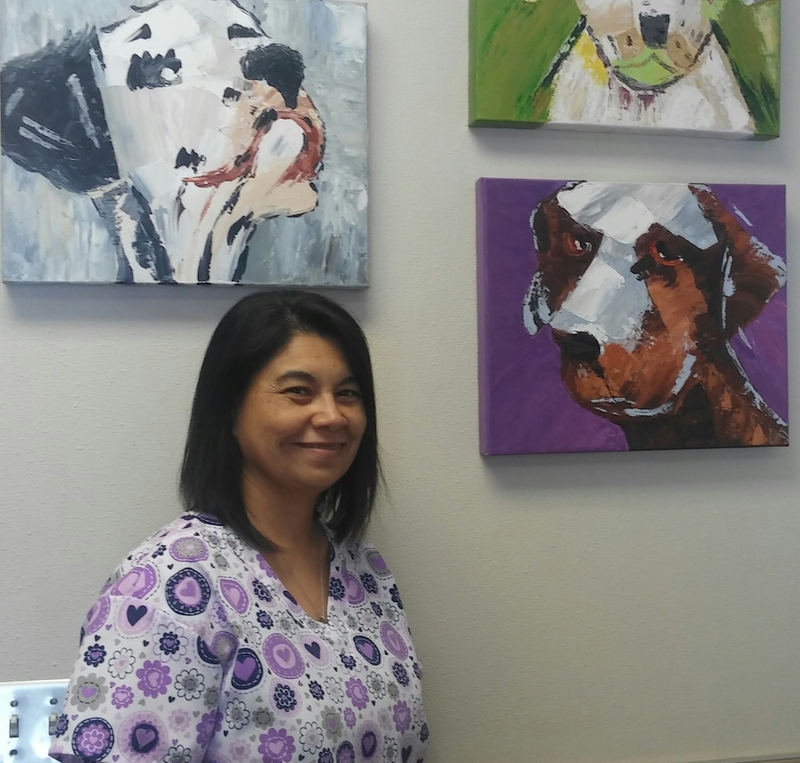 She worked at the Animal Emergency Center for 8 years before coming to join the team at East El Paso Animal Hospital. She has 4 dogs, 3 cats, 1 turtle, and a fish. She has a loving husband and a sweet daughter who is 6 years old. She is the captain of the Las Catrinas roller derby team. She is always up for anything fun, especially if it’s outdoors! 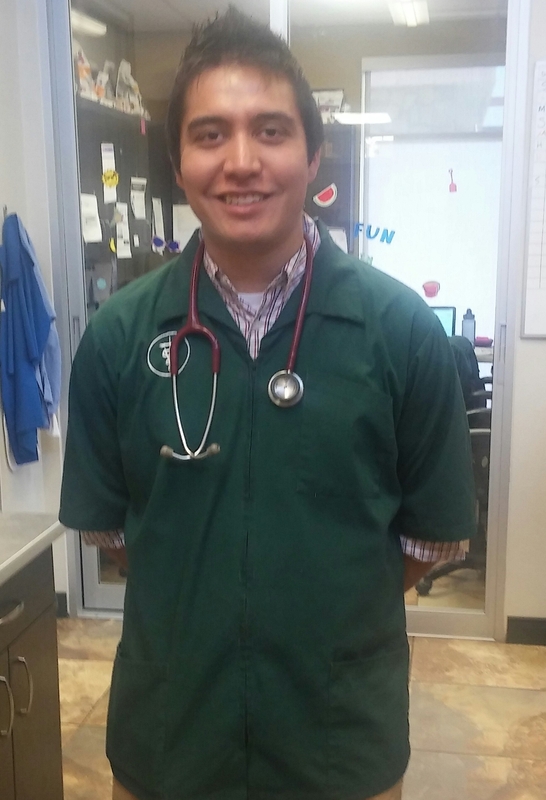 My name is Yedith O. Cortez and I have been working as a vet tech for about 3 and a half years now. I started at the Animal Emergency Center and then moved here January of last year. I have 4 beautiful boys (dogs) and a beta fish named Fice. I have 2 chihuahuas named Squidward and Kazuko, a pointer mix named Domino and Kitsune who is a blue heeler/ shepherd mix. When I am not working I am coaching the roller derby team Las Viudas Negras. Laura is originally from El Paso but also lived in Beaumont, Tx as a child. She has 13 years of experience as a Vet Assistant at Animal Clinic. 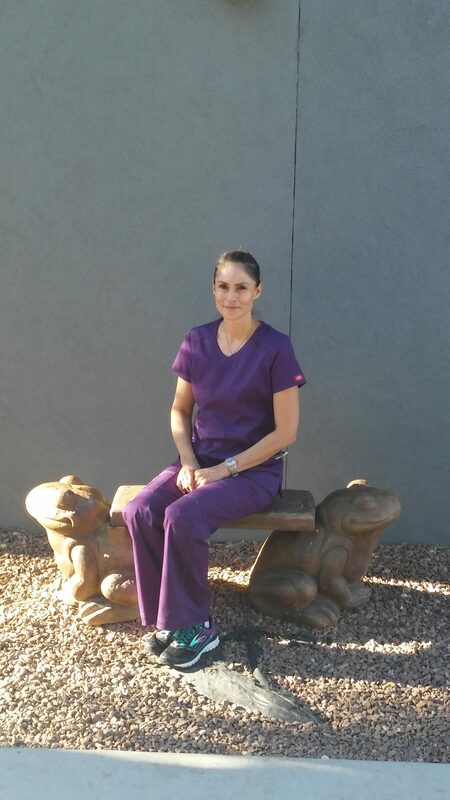 She joined East El Paso Animal Hospital in February of 2014, working in the boarding department. She is married with 3 children and 6 dogs a pit bull, husky, poodle, 2 chihuahuas & a min pin plus 2 cockatiels & 1 parakeet. She enjoys reading, playing & watching sports, scary movies & going to rock concerts with her husband. Dogs are her passion besides her family and looks forward to taking care of your pets giving you peace of mind while you’re away on business or vacation. 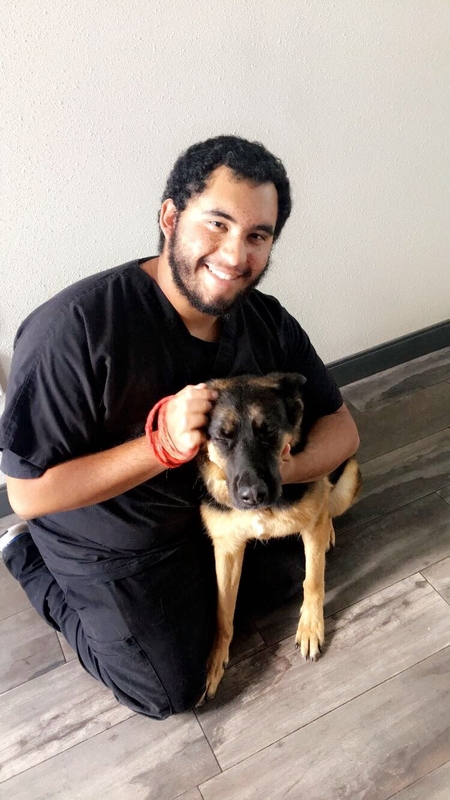 Elton Varela is a Boarding Technician here at East El Paso Animal Hospital, he previously worked at Desert East Animal Hospital as a Veterinary Technician for about a year. He is currently attending El Paso Community College and aspires to be a Marine Biologist. Elton also has 3 pets of his own, Marshmallow, Boomerang and Trixie who he loves to spend time with. He also enjoys hiking, fishing and listening to the Beatles. He always strives to be the best especially when it comes to taking care of patients. He will always make sure your pets are well taken care of while you are on vacation or a business trip. Hi my name is Stephanie Gonzalez. I have been working as a Veterinary Technician for two years. I worked previously at The Spay Neuter Clinics of Texas. I have a precious one year old daughter named Liliana Grace and three fur babies as well. Elvis my stubborn Basset Hound, Lulu my sleeping Beauty, and my daughter’s best friend is Spanky. Arlyse has been working with all kinds of animals for 7 years. She enjoys every little adorable life she can help. Arlyse has 7 beautiful puppies of her own – from Chihuahuas to Pit Bulls . There is no other job she would rather have than to help all pets live healthier, happier lives. 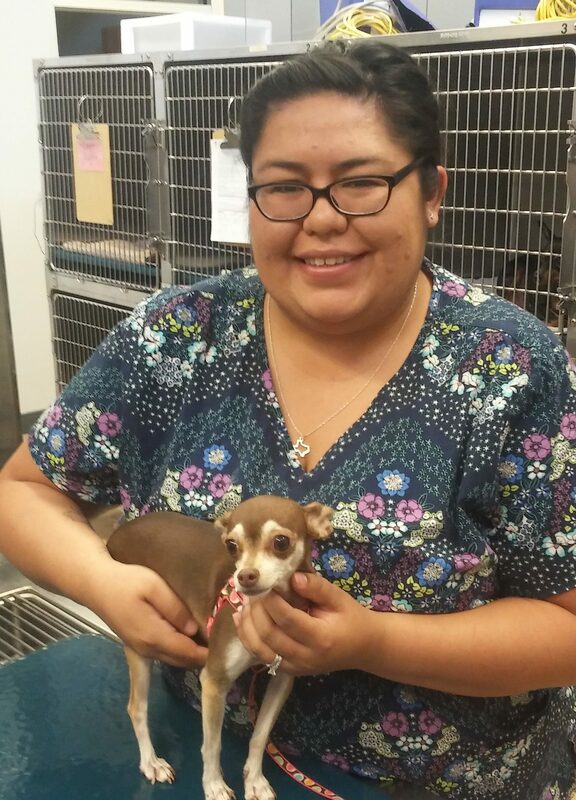 Arlyse was a dog trainer and she is also studying to become a Licensed Veterinary Technician. Christina was born and raised in El Paso but eventually made her way to Denver Colorado. She attended the Bel-Rea Institute of Animal Technology, where she earned her Associates degree in 2015. She has 2 years experience working at a Vet Clinic in Denver and has recently earned her credentials as a Licensed Veterinary Technician in Texas. 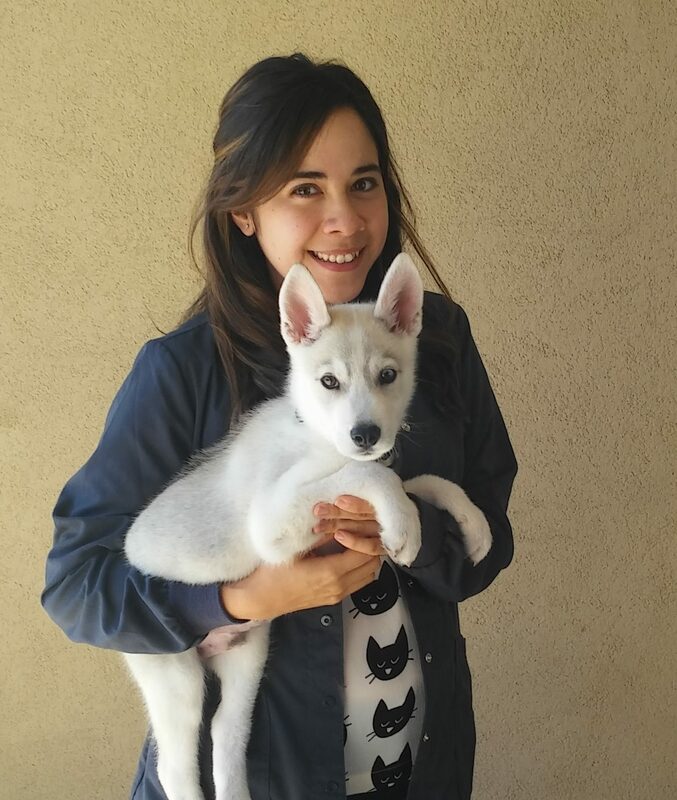 Christina has a lovely German Shepherd named Lilah and a handsome cat named Brembo, She is always looking to add more furry creatures to her family. Yvonne Cruz joined EEPAH in August 2017, after working at another local Veterinary Hospital for 13 years as a Head Veterinary Technician. Yvonne is proud to be a TVMA Certified Veterinary Assistant Level III and a Fear Free Certified Pofessional. She takes pride in her work and shows compassion to every patient that she is forturnate to care for. After the recent loss of her 19 year old cat Mocha, she adopted a black and white cat named Sarah. In her free time, Yvonne enjoys running and spending time with family and friends. Lynda goes by ‘Grammie Lynda’ because she is blessed with eight beautiful grandkids. She has worked with Dr. Garza for over 13 years and was a technician for 22 years. She is the groomer at East El Paso Animal Hospital, where your family member receives the best grooming care Grammie can give.